1 — Log in to your Liquid account and click the menu icon on the upper right. 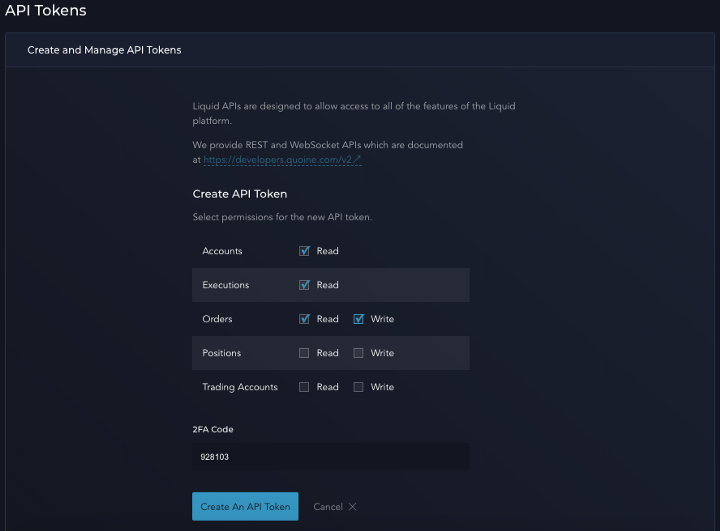 2 — Scroll down to Account Settings > “API Tokens”. 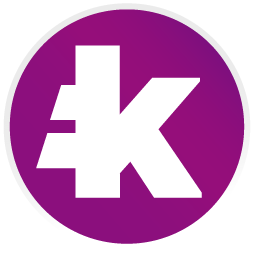 3— Click on “Create A New Token”. 4— Check the following options : Accounts (read), Executions (Read) & Orders (Read and Write) then input your 2FA code and click “Create An API Token”. Note : There is no withdraw option on Liquid. 5 — Your Liquid Token ID (API key) & Token Secret (secret key) are now created. It is recommended to back them up. 6 — Go to your Kryll.io dashboard on the “Your account” tab. On the right you will have the “Exchange API keys” section. Select “add an exchange” and then “Liquid”. 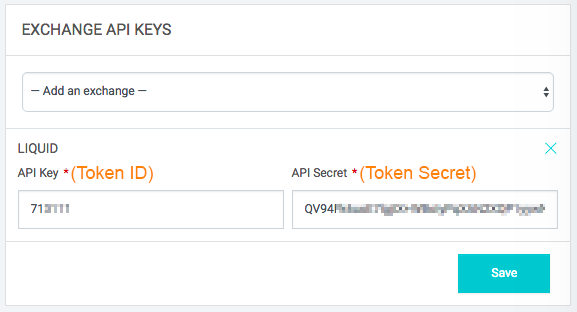 7 — Now add your API key (token ID) and your API key secret code (token secret). And click “Save”. 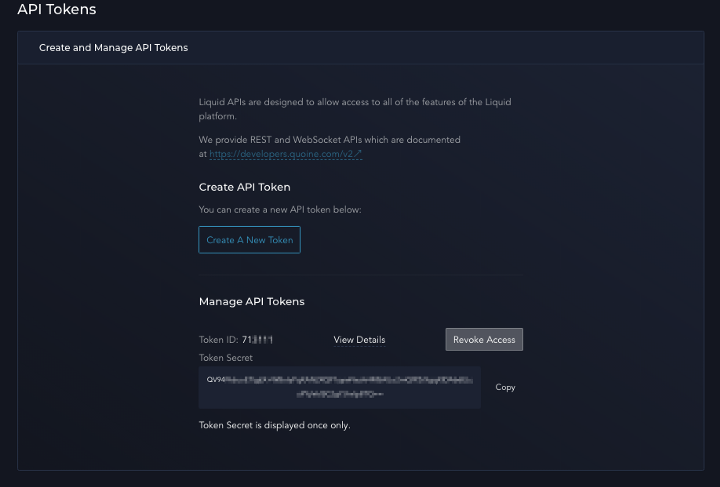 8 — That’s it, your Liquid API key is now added to your Kryll.io account. You are ready to trade! Happy trading! What KRL is used for ?